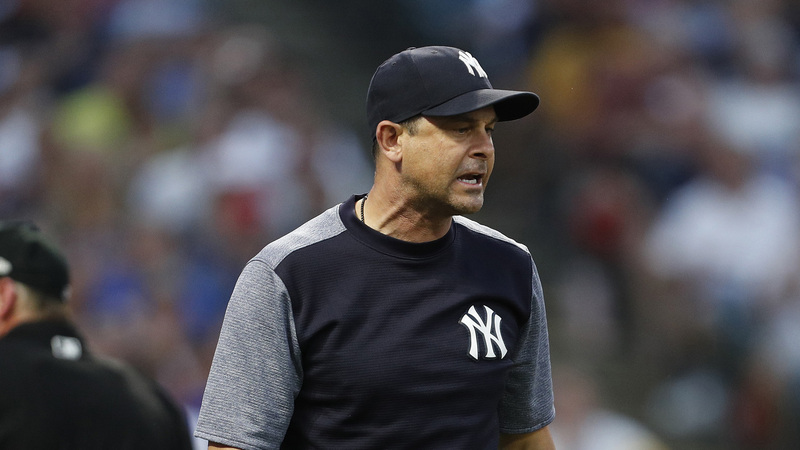 Yankees manager Aaron Boone has been suspended for one game and is facing a fine after arguing with an umpire in Friday’s 7-5 win over the Tigers, MLB announced Sunday. Boone was ejected Friday after throwing a tantrum and arguing with umpire Nic Lentz. He wasn’t happy with the strike zone and decided to show Lentz his reading of the zone. “I just had some issue with the zone on a couple key pitches that I felt like were missed and I took exception to it and I guess he had heard enough,” Boone said. “It just shows that he’s got us, and he wants us to succeed just as much as he does, and he’ll do what it takes. That was the right situation for him to do that.” Voit said, per ESPN. “It just shows what kind of guy he is. He wants to win.